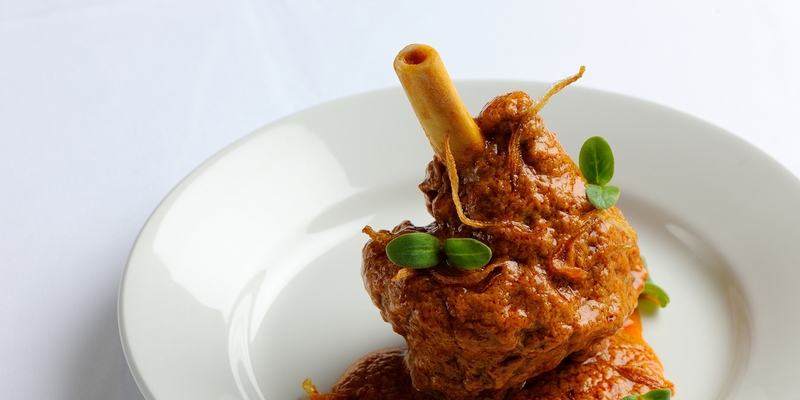 Recipes from the Indian subcontinent are full of rich aromas and aromatic spices. From hot curries, to sweet treats and a plethora of side dishes - Indian recipes are incredibly versatile and vibrant. Alfred Prasad's Indian chicken recipe is a one pot meal that's bound to become a firm favourite, or try his meaty Monkfish curry for a warming pescatarian supper. For a more family-friendly meal, there's the hybrid Anglo-Indian classic of kedgeree, packed with eggs, smoked haddock and spices. Traditionally served as a filling breakfast dish, Nathan Outlaw's simple Kedgeree recipe also makes a fantastic quick supper, and is a great one to cook with the kids. Indian food has a great array of vegetarian recipes, and these Paneer and red pepper skewers are a great veggie alternative to kebabs on the barbecue. Other vegetarian Indian recipes include Alfred Prasad's rich Dal makhani recipe, perfect for a rainy day, and the classic starter of Onion bhajis, which make excellent finger food. If you're looking for something sweet, try Alfred Prasad's Gajar Halwa. Made with vibrant carrot fudge and vanilla ice cream, this is a wonderful Indian dessert recipe to end any meal.